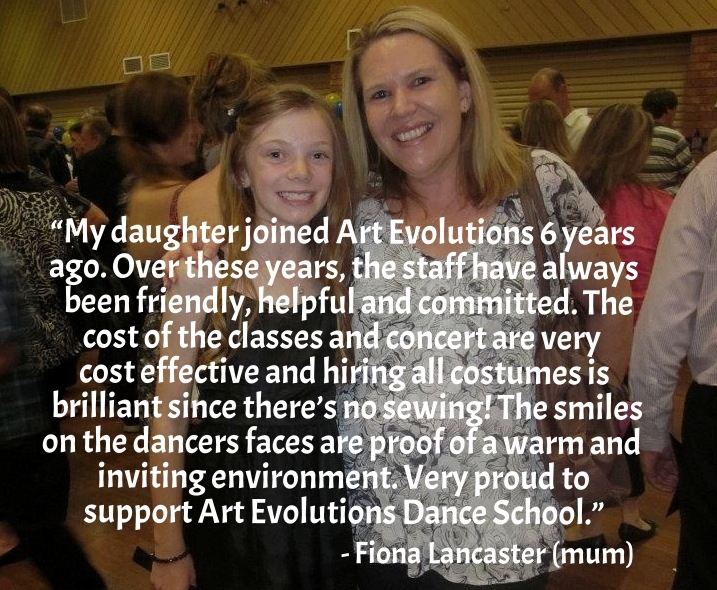 At Art Evolutions we offer general classes which include tap, jazz and ballet in the one class. This helps to produce well rounded dancers as well as allowing students to experience the benefits of all styles for one class fee. In the classes, students explore different variations of these styles. For example, in ballet we explore classical, neo-classical, lyrical and contemporary. Classes are available for 2 year olds up to adults (Check out our new pre-school program here). We also offer separate hip hop classes for 5 years and over. The formal dance of ballet is excellent for improving agility, coordination, flexibility, grace and strength. It is the foundation for all other dance disciplines. At Art Evolutions, students explore the many styles of ballet including classical, lyrical and contemporary. Jazz is a continually changing and evolving genre which allows the body to work with flexibility, strength and dynamics to modern music. Jazz dance creates a strong, technical and versatile dancer. Students experience both new and old styles of jazz such as commercial jazz, theatrical jazz and the traditional jazz ballet. Tap dance is a form of dance characterised by a tapping down rhythm that is created from metal plates that are attached to both the ball and heel of the dancer's shoe. Our tap classes expose students to a wide variety of tap, classic and modern, to many different types of music and melodies. Hip Hop is a fun way to learn to dance. The style orginated from street dancing in the Bronx, NYC, in the 1970s and is continuously evolving. You can see this type of movement by Beyonce, Justin Timberlake and Rhianna. Art Evolutions offers four levels of hip hop classes, Junior (min. age 5), Intermediate, Senior and Advanced Hip Hop.